AC F series evaporators for wastewater treatment is the hot/cold water evaporators with forced circulation and external shell & tube heat exchanger. 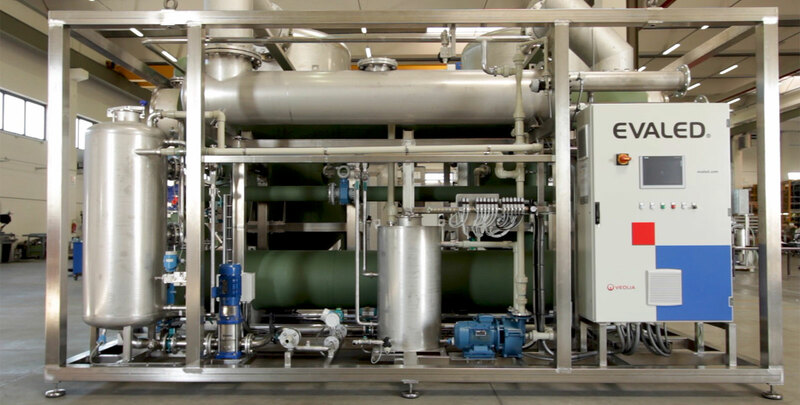 The heat necessary to boil the wastewater is supplied by hot water running into the heat exchanger; the cooling necessary to condensate the steam is supplied by cold water running into the heat exchanger at the top of the boiling chamber. Extremely suitable when heat energy from cogeneration plants is available.